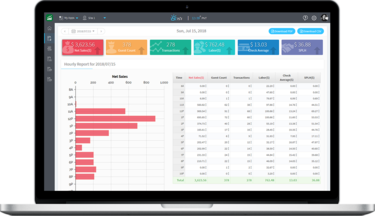 Zip POS Dashboard is a simple business intelligence reporting tool that uses advanced analytics to give you the best-informed reports that are easy to understand. This software app provides the insight to make smarter business decisions. 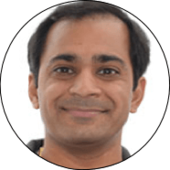 "Zip POS Dashboard helped me to convert complex historical sales data into smarter data by generating POS reports that are easy to understand. 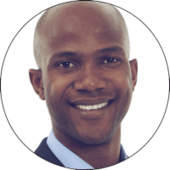 Now I have better visibility into my business allowing me to take the best actions to improve profits." "I used to be afraid of data analytics, but not anymore. The Zip POS Dashboard software presents the POS data in a very easy-to-understand way. It makes data analysis stress-free and helps us make better business decisions." "Our managers needed a solution to get POS data reports quickly for their stores. Zip POS Dashboard provided us this solution. Now managers have instant access to all their sales and transactional data in real-time." POS business intelligence with mobile POS reports that help small businesses make smarter business decisions. Try it free. An easier way to manage sales data from your point of sale. Understanding all your point of sale data can be a complicated process when your pos system doesn't consolidate the information well. You have reports of net sales, sales per labor hour, and more but what next? With Zip POS Dashboard you have access to insightful data driven from POS to your system in real-time. 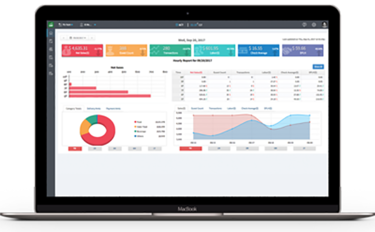 Zip POS Dashboard provides all the information you need to be equipped with business insights that will help you grow your business. The pos reprting is automated for you so that you don’t have to do all the work. Zip POS Dashboard provides for your needs with all levels of data. Get hourly, daily, weekly, monthly or yearly pos reports. Being able to access all of these different levels of data provides a dimensional view of sales and transactional activity, which gives you the edge needed to identify trends and make comparisons. Depending on your point of sale, any sales or transaction data may erase after a month or two. 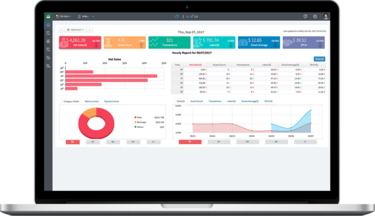 With Zip POS Dashboard all of your data is saved and used to provide actionable insights that will help you make better business decisions. Mobile POS Data Reporting Apps - Easy and Free! Make better business decisions with instant access to POS reports in real-time. 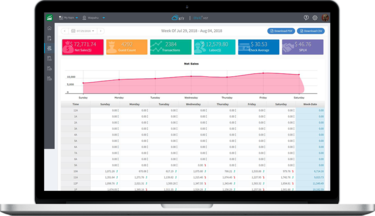 As a business owner, you can monitor the real-time performance of your business without having to go to each site. 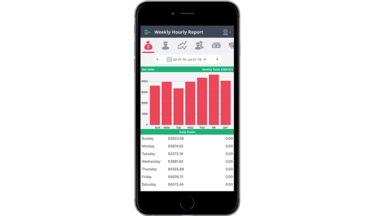 With our mobile app, managers can check their POS reports anytime, anywhere without having to view the reports from the office computer. There is a sense of accountability when information is known and shared. Owners can check up on managers when they notice problems with the business. When information sheds light on company weaknesses and problems, there needs to be action that follows. Understand what is happening in your business through POS data analysis and gain discernment from the insight you receive. Perform business performance analysis with automatically generated charts and graphs. And, view data for the key performance indicators (KPI) with detail. Choose one KPI for in-depth information from the multiple reports that automatically generate. Zip POS Dashboard works on your iPad or Android tablets and mobile devices. Start making smarter business decisions with the free POS Reporting Software. "With Zip POS Dashboard I get immediate insight into our point of sale data. It's helped us make smarter business decisions to improve our profit margins." "Our decision-making used to be based on limited POS reports available through our machine. We now stay informed with daily, weekly, and monthly reports." "Zip POS Dashboard helps our managers identify the areas we need improve to increase sales and reduce costs. The mobile app puts these reports at their fingertips." "All the data I need to run my business effectively is in the palm of my hand with Zip POS Dashboard. It's business intelligence when and where we need it."